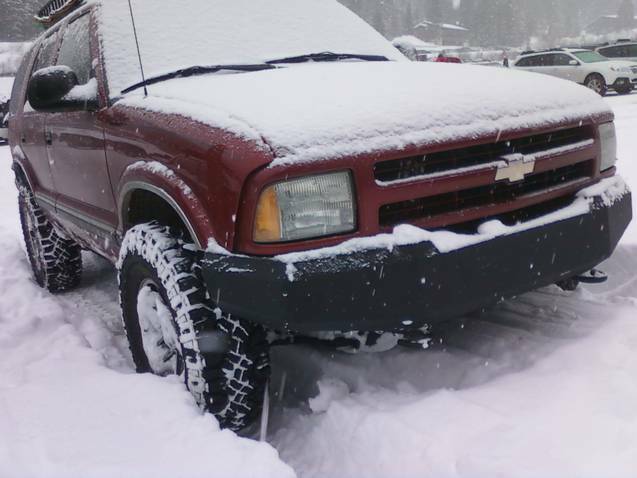 So i decided to make a new snow wheeling thread for this year. I just went up a couple fire service roads by my work after we got 4 feet of new snow. It was fun lol. It was at night so i didnt get good pictures, but i am going again this tuesday so hopefully i can get a lot of pictures and some video. Feel free to post pictures. These DuraTrac's are BA in the snow. Air them down to 20 PSI and you wont stop lol. I was driving in about 3 feet here, pushing a lot with my bumper. 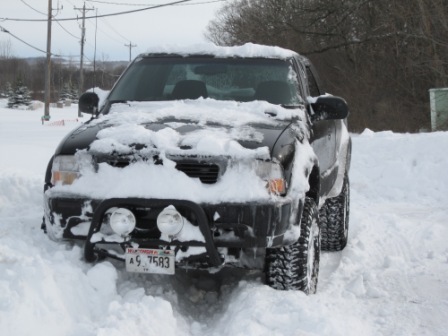 Then it got a little deeper and i sank because i didnt have my tires aired down this time lol. 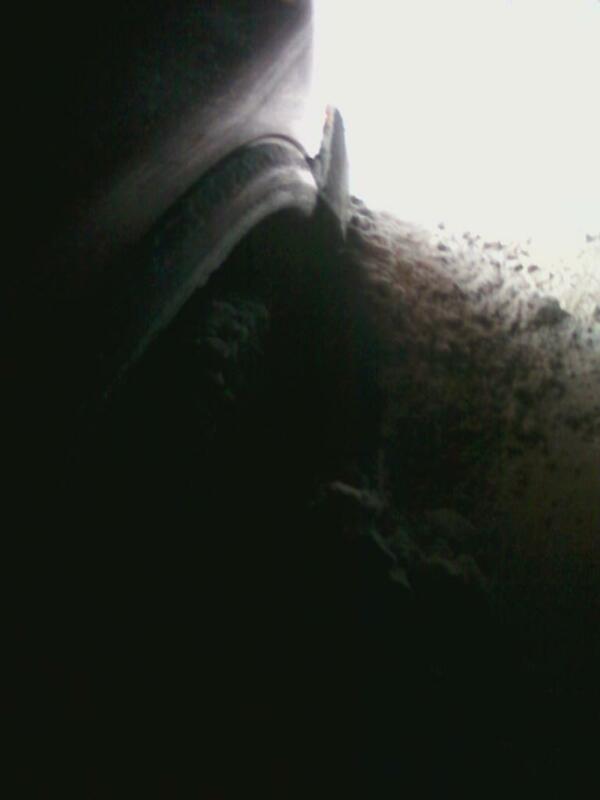 It was up to the top of my wheel well on the other side, all tires completely buried. Luckily i had a shovel. So not very good pictures this time, but more to come. Looking good! I cant wait for snow to hit Wi this year. we've at the record stretch of most time without snow in milwaukee this year, but they are talking measurable snow next week. 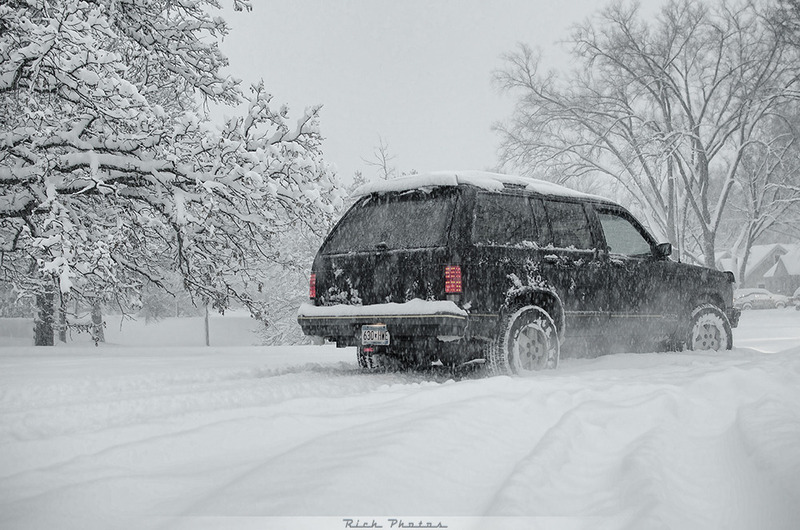 A bit off topic I attached some pics of a blizzard we had two years ago(2011). I was out having fun in my old zr2. 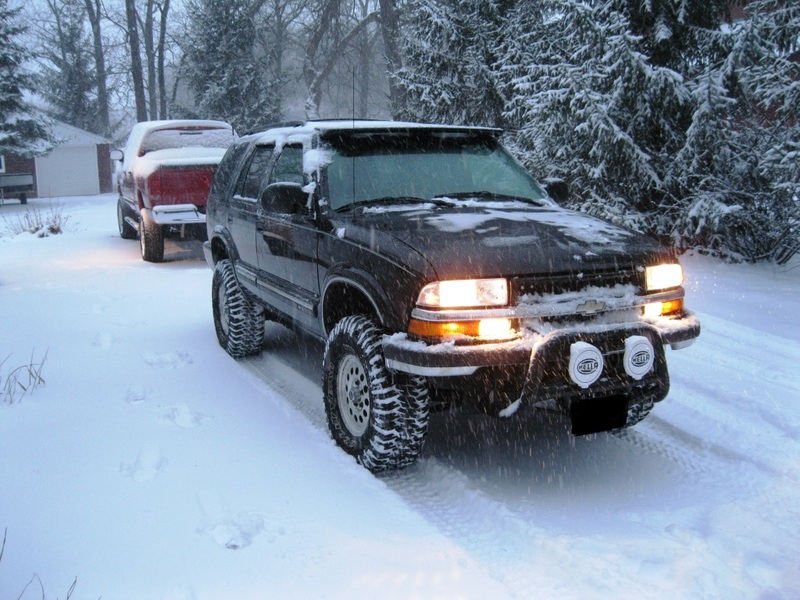 I realize this is a blazer forum, I currently have a 01 blazer LT. 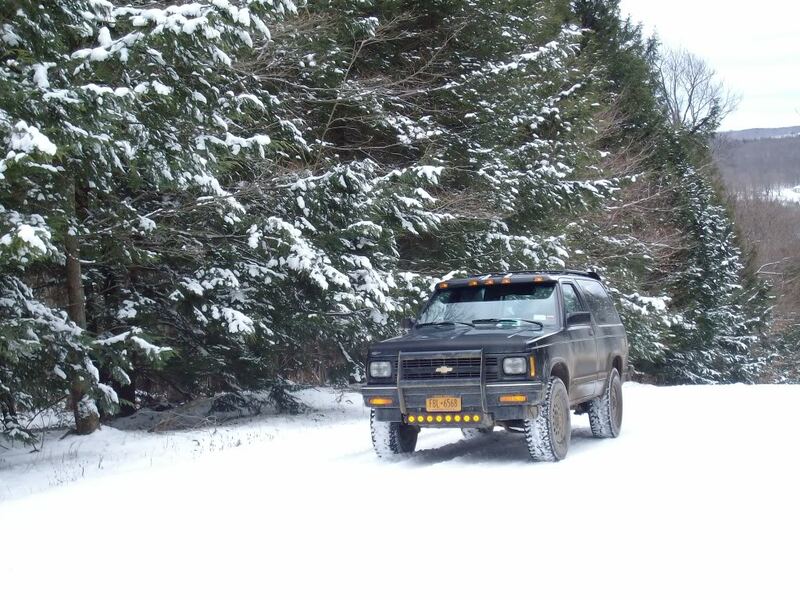 I should have pics of my blazer in the snow soon for this years snow wheeling. No issues Zr2s are welcome . 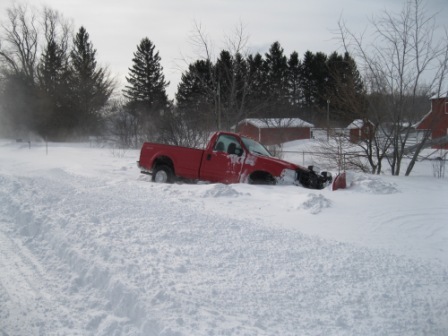 Whos plow truck ? That was a neighbor of mine, it was one of the worst blizzards southeaster WI has seen in quite some time. 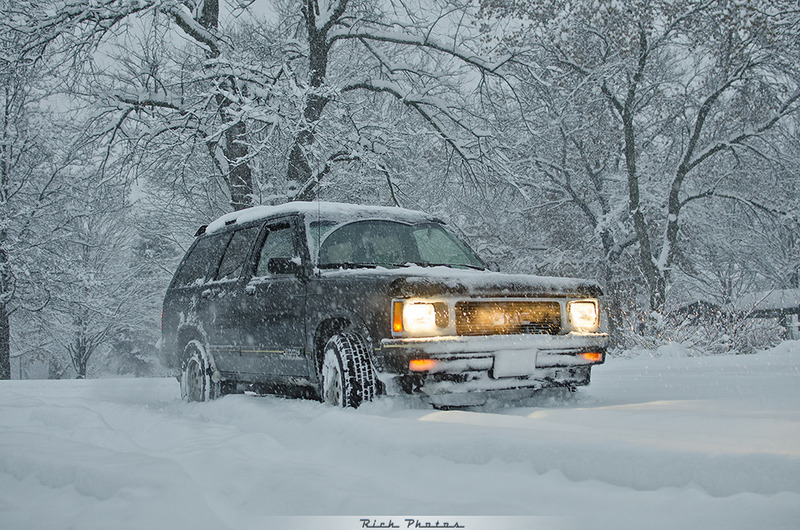 Figured I throw a pic of my blazer in first snowfall of last year. I loved my z but my blazer is coming along really nicely. Its much more comfortable than my z was with a lot more bells and whistles Its the loaded LT model. Nice blazer! Looks a lot like my old bull bar on the front haha same lights and everything. We didnt get much snow this year So here is one from last year. We normally have 6 to 8 ft of snowfall by now ... The pass 2 winters we got nothing compared to what we normally get. i cant wait for my blazer to get finished. im getting it done this friday or sooner. putting an astro van box and sum dom tubing for all new high steer set up. 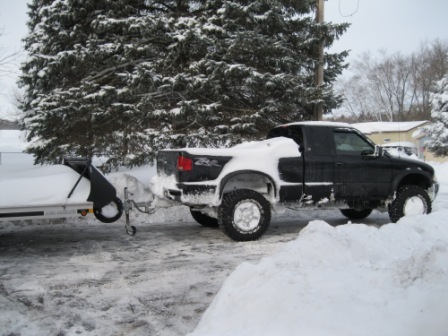 then its hittin the snow baby, well, after i get a day off that is. new years hangover run on the 1st shall b fun. richphotos, looks good. i really like ur tail lights.